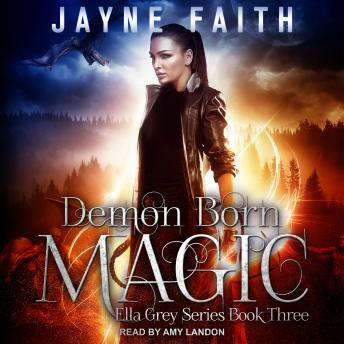 In her battle against demon assassins, Ella Grey pulled too much power and it nearly killed her. To save her, Damien and Deb had to cut Ella off from her magic. Desperate to rescue her brother from the vampires but powerless to help him, Ella must find a way to control the reaper that's nearly gnawed through her soul and get her magic back. When madman and necromancer Phillip Zarella offers her a solution, it's too tempting to pass up. But making a deal with the devil always has consequences. And worse, Ella discovers that her brother is the prize in a tug-of-war between Zarella, tycoon Jacob Gregori, and the all-powerful mages. She needs every advantage she can scrape together, or she'll lose her brother forever.